Over a decade of playing MTTs for a living, I’ve seen the game change in many ways. For example, back in 2010, open-raising to three times the big blind was considered standard. You could sometimes make it just 2.5x on the button, but 3x was the norm. Defending the big blind with more than 15% of hands was also considered crazy back then, and players would argue on the internet about whether you could defend T-9 offsuit against a 2.5x button open. I’d love to see someone who hasn’t played online MTTs in five years take a shot at today’s games, and try to acclimate himself to the latest trends. He would probably tag most winning regs as fish–he’d see players defending the big blind with 8-5 offsuit and think, what is this nonsense? In this article series, we’ll discuss modern short-stacked play (~20 big blinds or less) from the blinds. I’ll be using a program called HoldemResources Calculator for some of the calculations and graphics, which I highly recommend downloading. Alternatively, there’s a program called ICMizer that can be used for the same thing. One of the funniest trends in the MTT world is the ongoing debate about how wide to defend the big blind. I played my first hands of online poker in 2007. Back then, the consensus was to defend the big blind fairly wide, on account of getting good pot odds. Then, a couple years later, seemingly every poker training video claimed that defending too wide was a mistake, because while we’re getting nice pot odds, we don’t get to realize all of our equity very often. And that made sense–while you’re getting 3:1 on a preflop call, you’ll likely have to pay more to get to showdown, which means you’ll often lose more chips with a speculative hand. We started tagging players as fish for calling a single raise with hands like 8-6 offsuit. And now, in 2016, BAZAM! We’re supposed to defend wide again. Why? Pot odds. The circle has closed. Are we back to playing 2007 poker again, having learned nothing over the past decade? Well, yes and no. The difference is that we now have the tools to calculate different scenarios and equations effectively, and so we’re able to determine how we should play different hand groups. We’re in the big blind with 19 big blinds, facing a button minraise. The first thing we need to do here is calculate our own pot odds. 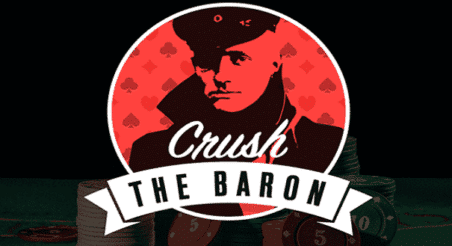 We need to call 1,600 chips to play for a total pot of 8,640 chips. So, 1640 / (1600+7040) = 18.9%. This is the raw equity we need to call the open. But what does this percentage really mean? For the pot odds number to be accurate, the hand would have to end right here. But unless your opponent has precisely 2 big blinds in his stack, we can’t just say that we only need 18.9% equity to call because, for one thing, hold’em is a multi-street game, and we aren’t guaranteed to see a showdown. In other words, we can still lose (or win) more chips in the hand. Also, we have the option of 3-betting before the flop. Consequently, this raw equity number isn’t very helpful. What we really need is an answer to a more interesting question: How often do we need to defend in order to prevent our opponent from profiting with a raise against our big blind holding any two cards? Here, our opponent is risking 3,200 to win 3,840. Even if he has blank cards, he automatically profits so long as his raise gets through 45.5% of the time. And this isn’t taking into account all the pots he’ll win with a continuation bet. Assuming the small blind defends a standard amount of around 15%, our defend rate needs to be 46.4% to prevent our opponent from profiting. We are getting tremendous odds to call a single raise from the big blind. We need to play back with a lot of hands from the big blind to avoid being exploited by sharp opponents. These are perhaps obvious points. I’m not here to tell you what’s obvious. So, let’s review our options in more depth. Note: You want to make more final tables and win more tournaments, right? Take your poker game to the highest level, satisfaction guaranteed, by diving into Nick Petrangelo’s Winning Poker Tournaments course. Learn more now! A stack of 15–20 big blinds is commonly known as a re-steal stack because it’s the most natural stack size to 3-bet shove over an open. In a scenario like the one above, 3-bet shoving is certainly a viable option with a lot of hands. But how do we decide which hands those are? Now, pause for a moment and think: What question should you ask yourself to determine how wide you can 3-bet shove? What percentage of hands is my opponent opening? This is why it’s absolutely necessary to have the Raise First In as Button (RFIB) statistic on your HUD (though, I’m an advocate for HUD-less poker too). RFIB is a stat that shows varying results among regulars—some players only open around 30 percent, while others open almost 100 percent. Of course, everything is situational, but you can make some pretty good assumptions with just a small sample. Anything with a plus sign before the number is a profitable 3-bet shove. The numbers mean big blinds, for example shoving KQo here makes 1.15 big blinds on average. Before we go any further, let me clarify something. Just because we can profit by 3-bet shoving doesn’t mean that we should shove all of these hands (more on this below). But I believe that it’s crucial to realize how wide we can shove at all times. If you’re sure that you can shove a certain hand x in a certain spot y profitably, then you immediately have an option available that makes you money. It just might not be the most profitable option. Even suited aces make a shitload of money against a tight opening range (anything above +0.25 is generally a pretty big edge). Amazingly, even though our opponent opens just 28.8% of hands, we can shove 22.9% of them ourselves (assuming he’ll be calling optimally, which is unlikely). As you can see, we can get away with shoving an insane amount of hands (40.6% of them, to be exact). Does that seem crazy? Well, it is. Sort of. Not shoving a hand like A2o or 22 here is now absolutely criminal, as both hands print a ridiculous amount of money. Do you see how well K5s does, but how J9o is still losing? Keep that in mind–we’ll get there soon. This is still assuming that our opponent calls correctly, which in this case would be 31.8%, and include hands such as K8o, K5s and JTo. Very few players are calling with that kind of garbage in reality, which makes shoving even more profitable. We can go all-in with 74s and make money. We can go all-in with K2o and make A TON of money. Not shoving Q7s or K3s seems almost crazy because they just print so much. Look at 97o, the hand in our first example. It’s still losing! Take a good look at the picture in general. What sticks out? The two left columns and the two top rows. Not only are they all green, but they make huge numbers of blinds, yet they include a bunch of hands that are tough to play post-flop,like K5o, A2o and Q4s. Amazingly, hands that are much easier to play post-flop (98o, 86s, etc.) make much less in comparison to a shove, which makes constructing our ranges quite easy. We might be overestimating our opponent’s opening frequency. We’ll get called lighter in the future if we get caught shoving light. Shoving raggedy hands adds variance. If your opponent opens 50% of the time and calls with the top 15% of hands, you’re still going to get called almost one third of the time. Taking that gamble for your tournament life is never fun (especially since you’re usually behind). It is difficult to make a steady living playing MTTs pushing every edge that equity calculating software suggest, without exception. But, as I said before, they give you a basic foundation. If you’re well-versed in equity calculations, you always know roughly how much you can shove (in my experience, it’s virtually always more than you’d expect, especially when you’re in the big blind). You now have a very effective way to play against players who open too many hands. No one is going to exploit you by opening 72o if you’re capable of shoving 74s or K2o. If they try, you’re getting the best of them every time. So, let’s go back to our original spot. Our opponent opens on the button, the small blind folds, and we’re in the big blind with 19 big blinds. It would clearly be wrong to play only a shove/fold strategy. Against the 55% open range in the second scenario, we could shove 40% of hands right back, but that just isn’t a plausible strategy. Yes, I made this using MSpaint. I offer graphic design lessons for $250/hour. We are now shoving 16.1% of hands, which is something we can easily get away with against a 60% button raiser. There is only one adjustment he can make to stop this range from printing money: start opening less hands. I think the optimal 3-betting number might be a bit higher, since players tend to call a little too tight in these spots. In any case, on top of all those shoves we are now flatting 29.3% of hands. We want to flat hands that play well post-flop, with hands like suited one-gappers. With T8s, for example, there aren’t many problem flops. If you flop a pair, it’s often at least middle pair, your draws can nearly always stand at least one bet, and you flop a monster draw reasonably often. When the flop comes A-K-2 rainbow, you can just fold to a c-bet. I generally always flat JTo, Q9s, and T8s type hands. Even though they make a lot as shoves, we can’t actually shove 40% of hands here, and these hands play really well post-flop. We always want to push hands that aren’t as easy to play post-flop, but that have a huge edge shoving. A hand like A2, for example, makes a huge amount of money as a shove, but continuing with it on virtually any missed flop is tricky. From all my time running simulations, I’ve concluded that the best, pure bluff 3-bet shove hands are usually Kxs hands. If the button was opening 100%, I’d shove every J2s–J5s, Q2s–Q5s, K2s–K5s without flinching. But against the 60% range, we have to fold or flat the worst of these. Low Kxs-Jxs hands make great bluffs, because, again, they aren’t easy to play postflop but have enough equity when called to make a profit. Even though, for example, QTo makes less than K6s as a shove, I would virtually always flat QTo and shove K6s. QTo is easy to play post-flop; whereas K6s, though not impossible, is definitely more difficult. It’s best to slowplay AA some portion of the time for deception, and to balance our flatting range. Shove most suited Ax and almost always shove any offsuit Ax, but occasionally flat something like A5s or A8s for deception. I would happily skip the most marginal shoves and instead just flat hands like 75s and Q5s. The risk just isn’t worth the tiny profit. We are now playing back at the button 45.4% of the time, meaning that unless the small blind is a gigantic nit, the button is no longer making automatic profit by opening any two (if he’s good post-flop, he still might be). I don’t believe we should push every edge. This is especially true in MTTs, where the vast majority of the money comes from weak players. There are dozens of players in any given MTT who play so poorly that they’re seemingly trying to donate their money. So why risk your stack by shoving questionable hands against a good regular? There is always a fine line between allowing yourself to be exploited and simply playing smart. A good example is trying to figure out an optimal button open raising frequency in the above example against the field. Again, I’ve run simulations with large player groups, and I’m convinced that you can get away with opening at least 70% of buttons in most scenarios. Yet, when I look at my database of 1.6 million hands, I’ve opened just 46 percent of players. While this number is definitely too low (my excuse is I play 25 tables at a time), I think that, for most of us, opening around 55–60% would actually be optimal. Not from a direct exploitation standpoint, but in the big picture. Not playing all those problematic hands takes away some variance, but playing 70% open ranges (or big blind defending ranges) can actually cost us money if we don’t know what we’re doing post-flop. If I was Doug Polk, I’d probably open 100% of my buttons and defend 95% of my big blinds against any random MTT idiot player. But, sadly, I’m not Doug Polk, and the fact is I’m not convinced that I wouldn’t make big mistakes in pots where I flop third pair with 85o, or when I need to decide whether or not to double barrel my gutshot with 63s. There is so much easy money to be made that, unless you’re a world class player, I think it’s sensible to pass on some of the edges. When it comes to shoves, it’s more like the opposite; the bigger edge you have over the field, the less thin shoves you should be making. If I were Doug Polk, I’d flat some of the hands that I advocated shoving in the previous example. Earlier in this article we concluded that we need 18.9% raw equity to call with 97o. I would certainly always flat that hand—I don’t think it’s close—but I wouldn’t flat 74o, even though that hand also has enough equity against virtually any opening range. This is because we often don’t get to realize that equity, and when we do see turns and rivers, we often just lose more and more money with our worst hands. Raw equity is almost meaningless when there are still three streets left to be played. It’s impossible to figure out a perfectly correct preflop range for any hand that could include multi-street play, but I hope this article at least got you started. Part 2 of this article series will be on how to play from the big blind with a tiny stack. Click here to check it out.